For years, Parking Today has produced an annual directly, People in Parking, or PIP. This November we will be producing the directory but with a different focus. The directory you receive in the mail will feature hundreds of vendors who provide products you need to operate your parking facilities. Listed also will be nearly 2000 of their staff members so you can contact them as you need them. The more than 12,000 listings you have been been receiving in the print edition will be available instantly on line at our web site. Check it out. Its up and running now. Enter your name and be sure we have your information correct. Unlike the print edition, we can correct the on line edition instantly. 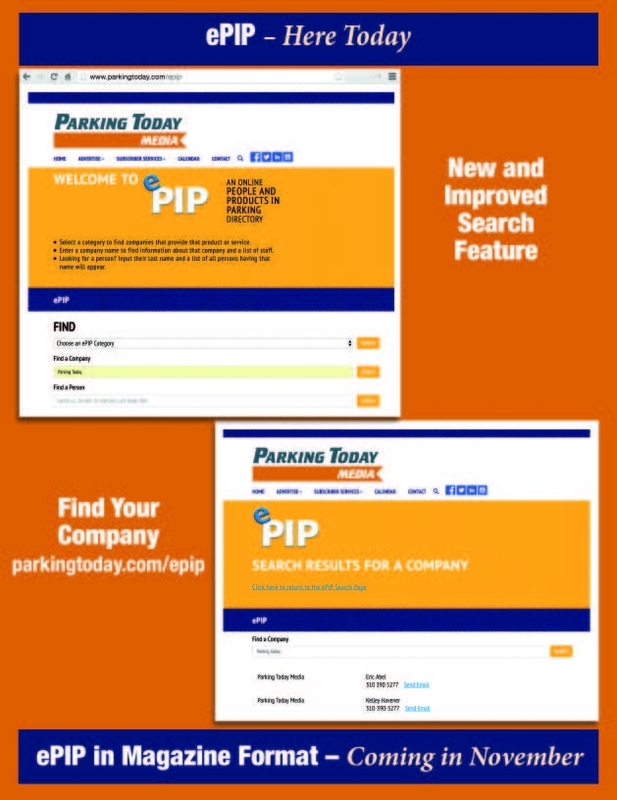 Parking Today Media — Engaged, Dynamic, Innovative.